After a bit of time of preparing and kinda waiting, I'm glad to say that Season One commencement is underway! Of course, we will need the support of most teams participating; so please, if you are managing a team that wishes to play in the International League, please make sure you help out however possible. May 30, 2012 - Confirmation of team participation DUE. June 02, 2012 - Initial Seedings. June 10, 2012 - Trolling rules decided on and posted. June 12, 2012 - List of banned players / those on conditional participation posted. June 14, 2012 - Schedules released. June 16, 2012 - Registrations "complete" for Week 1. June 17, 2012 - First matches played. Blue - Not confirmed either with not enough people registered, no skype/forum confirmation, or not sure because of trolling decisions to be made. PLEASE NOTE: Allies are not allowed in this league. Sub-clans/communities are allowed as long as there are no members in these teams that belong to another clan participating in the league. I've been asked multiple times about what's up with the structure so sorry about the wait on telling you guys. Anyways, it's looking like we will have at least 3 divisions, and possible 4. Each division will have 12 teams, split into two conferences. The two conferences play out their season like WCL seasons, where you have 10 weeks of regular season play and see who wins the division. The above system basically plays the top team of a conference against the "bottom" team of the other conference's top 4 teams, and so on. Each series of wars will be best 2 out of 3 matches (basically the first one to two wins advances). Yes, applications are still being taken. 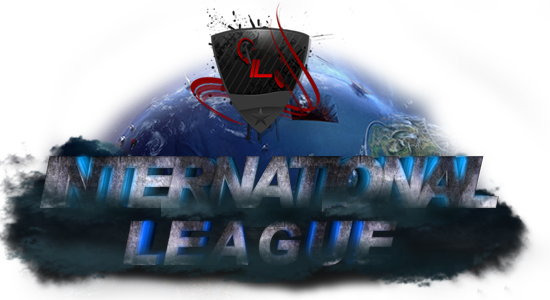 If you have not noticed the applications subforum for the International League and you are interested in being a Division Admin, Journalist/staff member, or council member, please make your applications there. You guys may be wondering what the whole Journalism spiel is, so I'll get straight to that as well. Journalism was attempted in the earlier/middle parts of WCL and at random times, mostly recognizable by Raymie. These writings composed of writings on happenings in the divisions and highlighted certain parts of matches and the like. The MKC had a Youtube of THE BIG TITAN speaking awkwardly in front of a camera giving updates on the league. If possible, I'd wish on kind of merging these two ideas together (except without the awkwardness of a video). We could have people writing and reporting on Youtube happenings going on in the league, as well as featured videos from those in the league and their matches too. I think it's an interesting idea and could be worked on a bit from past ideas so I may very well be trying this out soon. Thanks for checking this out guys and please feel free to post anything regarding suggestions, opinions, and more. One Question, why Saturday ? tobtheking2 wrote: One Question, why Saturday ? Are you referring to some of the dates posted? If so, well, why not? June 09, 2012 - First matches played. Wow, I completely screwed that up, haha. Thanks for reminding me. Well, it would be better if you make one division of 8 clans. Dont understand the system of 12 teams in one division and split up? in fact that would be same as 2 division 6 clans? how can you compare the 12 in one division when they dont play against each other. Dont make such crap as the Prime League is making in Mario Kart 7,they bring it up that you are in a divsion but you dont play vs none of them LMAO. but yeah, I could also help as an division administratorm, who is updating the tables etc, when you give me the concrete table datas etc. BenDK wrote: Well, it would be better if you make one division of 8 clans. Dont understand the system of 12 teams in one division and split up? in fact that would be same as 2 division 6 clans? how can you compare the 12 in one division when they dont play against each other. Dont make such crap as the Prime League is making in Mario Kart 7,they bring it up that you are in a divsion but you dont play vs none of them LMAO. MKC had divisions of 8 clans which really weren't the greatest in my opinion seeing how you only played teams once. Plus, the system we use now gives teams the familiarity of the WCL system while changing it up a bit too. If it goes well this season it will probably continue being used, but if there are teams speaking out against it after everything is said and done we will considering making some sort of new system. The rules aren't crap for PL. I am sorry that PL tried to do something different from WCL because WCL was only wars with a table. This is hopefully something a little different too. Not PL's or if this is different's problem that a lot of people can't handle change. I'm looking forward to this if it is anything like sporting conferences. Looks good. Need to get 3 more teams though so we can have 4 full divisions. Apocalypse 2 has dropped out. I confirm No Surrender 2 can participate this season. » how much have roma spent this season on players?